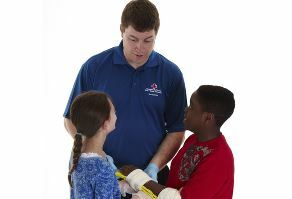 The Babysitter course includes basic First Aid and Caregiving skills for youth 11–15 years old. Participants learn how to provide care to younger children in a variety of age groups, and how to prevent and respond to emergencies. Course also offers youth the training to promote themselves as a babysitter to prospective parents. The course content includes: caring for babies, caring for toddlers, caring for preschoolers, caring for school-aged children, creating safe environments, how to handle emergencies and first aid, and the business of babysitting. The prerequisite is 11 years old (note that in Manitoba the legal age of a babysitter is 12). The completion requirements are to be there for the entire course, complete a skills demonstration and pass the written exam. Everyone should bring a stuffed animal or doll.